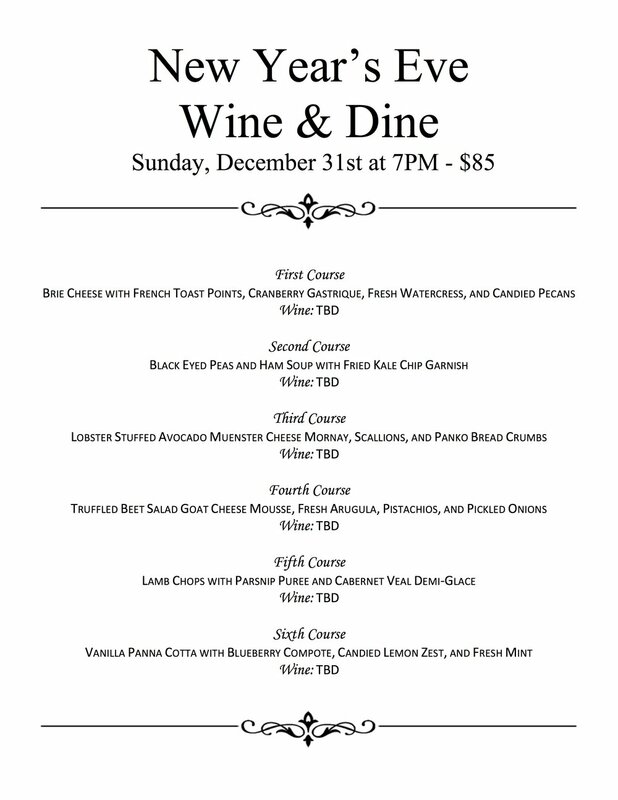 Come celebrate 2017 and kick off the new year with seven wines perfectly paired with six courses for only $85. The dinner will be held in the Grand Ballroom at 7pm. To make reservations please call 276-783-4800. Reservations are required by December 27th.